This week’s glorious news has left me with a question: should I just change the name of this feature to “Pestering Matt Thorn”? The idea appeals to me, but I’m reluctant to limit myself when it comes to begging. That doesn’t mean that I can’t… shall we say… fixate for a while. But even this leaves one with a question: fixate on what? Should I focus on the kind of manga that seems to track with Thorn’s scholarly interests in his work as a part of Kyoto Seika University’s Faculty of Manga? This wouldn’t exactly be a stretch, as I routinely beg for classic shôjo, edgy shôjo, josei, and the various mix-and-match possibilities of all of those. And then one notes that, in spite of the partnership with Shogakukan, one of the first two announcements from Fantagraphics is still in serialization in Enterbrain’s Comic Beam. And, as we all know, Comic Beam is awesome. I remember talking about Comic Beam’s curatorial sensibility during that Inkstuds podcast with Deb Aoki, Chris Butcher and Ryan Sands, so it makes me feel validated that Thorn drew from that particular well. When one factors in the Fantagraphics brand (comics they admire from wherever or whenever), and the breadth and depth of Shogakukan’s catalog, and even Thorn’s own list of the best manga of the early 2000s, the possibilities seem satisfyingly vast. And while Gary Groth may not be the cuddliest messenger in the world (on this or any other subject), one can rest assured that his sensibility is as curatorial as it gets, and The Comics Journal wouldn’t have done an issue about Japanese comics for girls if it hadn’t been for Dirk Deppey, who was matchmaker for this whole initiative. Even just confining oneself to Hagio manga published by Shogakukan leaves one with a veritable smorgasbord. What more perfect way could there be for Fantagraphics to enter the vampire game than to publish The Poe Clan? 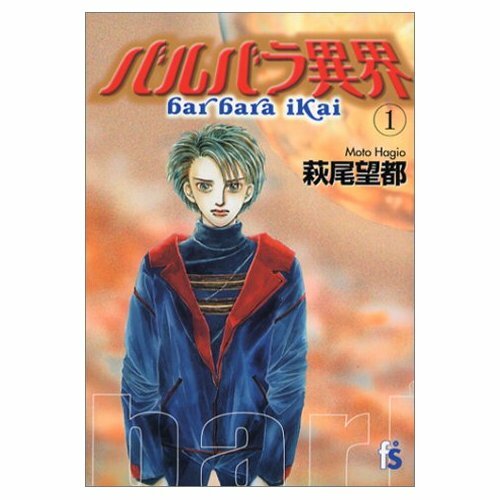 Hagio’s award-winning A Cruel God Reigns (17 volumes of brutal family dysfunction) sounds like just the kind of challenge Fantagraphics would embrace. And there’s the whole wide world of non-Hagio Shogakukan titles. I’ve seen Yumi Tamura’s 7 Seeds mentioned in the course of Fanta-Thorn elation, and why shouldn’t it be? Post-apocalyptic shôjo-josei about cryogenically frozen teen-agers destined to repopulate the Earth? Why yes, thank you, I’d love some! So basically what I’m saying is that every possible request calls to mind seven or eight more. In fact, I’m on the verge of collapse under the weight of possibilities, so I throw it open to you. What titles are in your dream vision of Thorn-curated manga from Fantagraphics? This entry was posted on Friday, March 12th, 2010 at 10:53 am and is filed under License requests. You can follow any responses to this entry through the RSS 2.0 feed. Both comments and pings are currently closed. All with Fantagraphics manga line is fascinating and amazing considering the “state of manga” in America. As for Groth, curmudgeon would be my description, having known him since early 80’s. Maybe you should loan him your title? I would love those ones. If along the way they manage to pick Vinland Saga & Yokohama Kaidashi Kikô, i will allow Phantagraphic to brag about how awesome is their manga catalog. Great list, Dave. I’m particularly keen on Palepoli. ‘m psyched about the Fantagraphics announcements. I hope that older manga can make it. When I first started writing for Tokyopop I talked to their editors about how much I enjoyed Cyborg 009, Lupin, etc. They said (jokingly of course), “Oh, you’re the person buying them.” I’m just glad they finished the run of Cyborg 009. * marginal – Moto Hagio. Thorn and Hagio discuss this title in their interview (which I’ve been reading over at TCJ) and it sounds really interesting. * The Song of Wind and Trees – Keiko Takemiya. I mean, if you’re going for classic BL, you’ve gotta have this one! * Yokohama Kaidashi Kikou – I’m with KrebMarkt on this one. I think it’d fit with the Fantagraphics catalog quite well. Mostly, I’d be happy with anything from the Year 24 Group or the Post Year 24 Group. Of the latter, I’m particularly curious about the works of Shio Sato; I liked her “Changeling” story in Four Shojo Stories quite a bit. Anything and everything from Moto Hagio and Yumiko Ōshima. Ryuguden (Castle of the Dragon) would really be amazing! That does sound pretty amazing, Hniu, and it doesn’t sound like something Viz would snap up for SigIKKI in spite of its IKKI origins. A Diffusion Disease by Hideji Oda (released as Dispersion in french and italian). Its only two volumes long, and while it was released by Kodansha originally it received a rerelease from Enterbrain / Beam Comix in 2008. And Thermae Romae, which you mentioned in one of your awards-inspired requests which sounded interesting. It was meant to be a this.